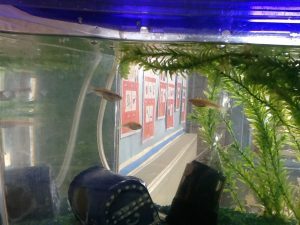 We have some new members of Robinson Class, our pet fish! The children were very excited when the spotted them in the classroom after choosing them at the garden centre the day before. 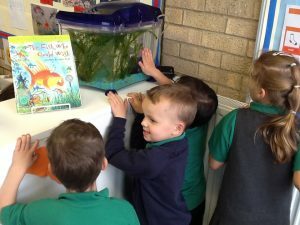 Next week we will be working on describing the fish and thinking of some good names for them. Do you have any suggestions? One has stripes, one has spots and two are plain white. I can’t wait to hear what names the children come up with! How exciting!